You’ve made it to release day! The My Favorite Things release is now live and available in the MFT Boutique. Before you head on over there, I have one more card fun card to share with you! Are a superhero fan? I love watching all those Marvel movies! When I saw the Super Dog and Super Cat sets, I immediately knew I wanted to create a comic like layout, so I used the Stitched Collage Frame to help with this. I die cut the frame out of white card stock, and then ink blended each of the individual inlaid squares. With the darker shade of the ink used in each ink blended square, I stamped the Radiating Halftone Background. This background was perfect to add that retro comic strip look. In the two larger rectangles, I also added a cityscape using the new City Block Die-namics in kraft card stock. Next, I need to add the super pets! I stamped various images from the Super Dog and Super Cat sets in Milk Chocolate hybrid and colored them with copic markers. I die cut them out with their coordinating dies, and used a white gel pen to add details. I added the characters to different squares with foam tape. And finally, heat embossed the sentiment in white onto Gravel Gray card stock, trimmed it down to a strip, and added it across the center over foam tape. Hope you enjoy today’s comic themed inspiration! 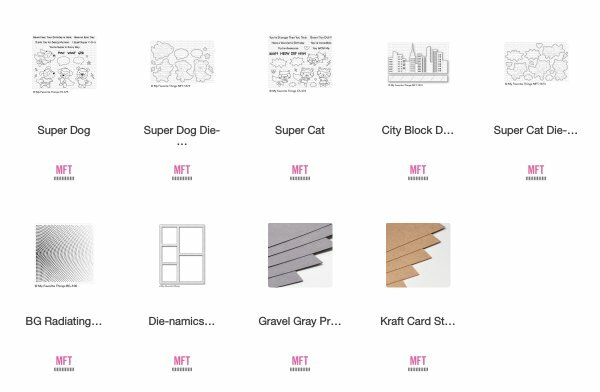 If you haven’t already, stop by the MFT Blog for more inspiration from the team and friends. Thanks for joining me in the release countdown and see you next time! What a fun bright happy card! Such great inspiration! This is so adorable! I love your design and coloring! I love the colors you’ve used in your card! Very bright and cheery. Thanks for sharing! You really hit this card out of the park it’s so wonderful! All the vibrant colors and details are fantastic! Those little critters are super duper darling! I absolutely love this card! Fantastic job! I always admire your work, and this card is no exception. Love the colors and the way you split the skyline in to two frames. 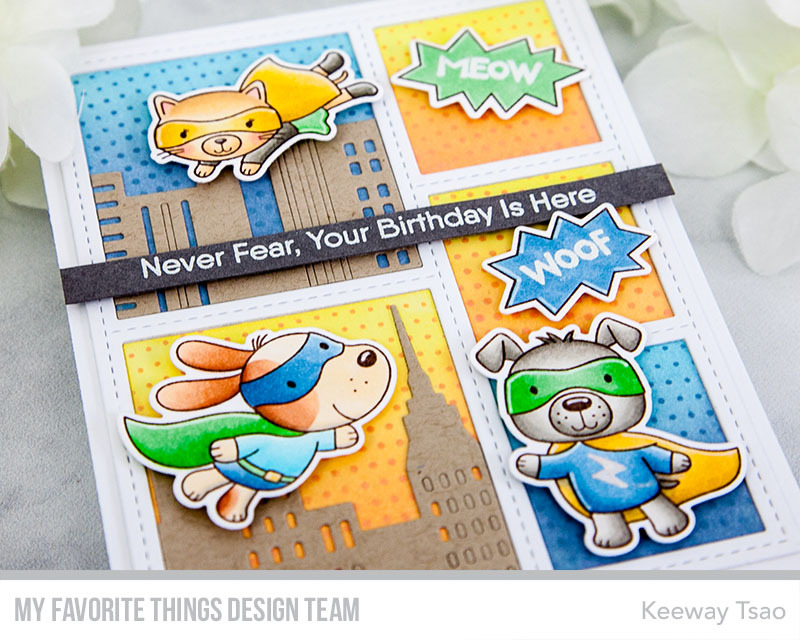 Super cute card loaded with fun! Get on out! I love, love, love your card. Great design and fun, happy colors. Wow! Oh my! So cute!! Love the different windows and the cartoon expressions! Great card. Love all those animals. Wow, fantastic card! So many amazing details with a fun design and wonderful rich colors. Fantastic card. Love the design and bright colors. You never disappoint when it comes to gorgeous color combinations and fun elements! 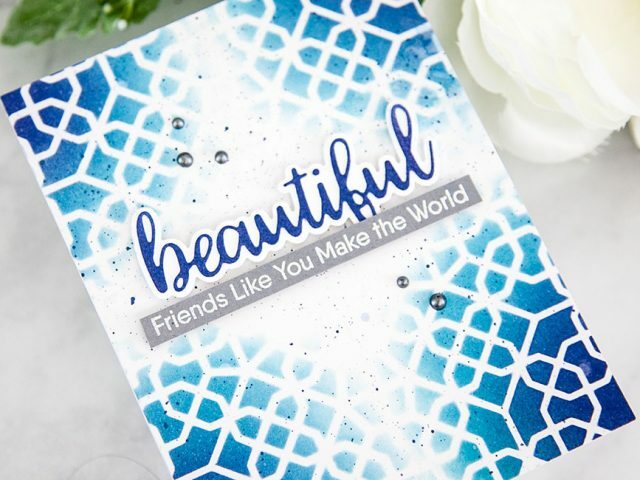 What an adorable card you made with this super cute stamp set. Great design! 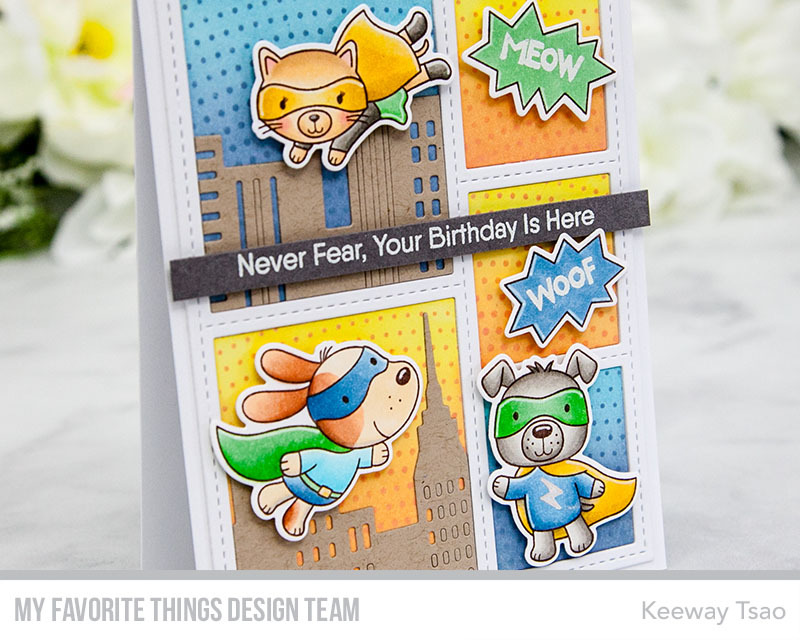 Love the Super Dog/Cat and how you used the collage to make this card. Great release. I’m in love with the cat superhero set (I’m a cat person, through and through). And I love how you really leaned into the comic book style for this card. The radiating halftone stamp was so perfect for this. Thanks for sharing such a delightful card with us! What an awesome idea for these super cats and dogs! Beautiful cards Keeway. Super cute cartoon card. I love this idea and I appreciate another way to use my BG Radiating Halftone Background. I have too many decisions to make this release! So cute!! I love the comic book look. These super heroes are perfect. This card is adorable Keeway! 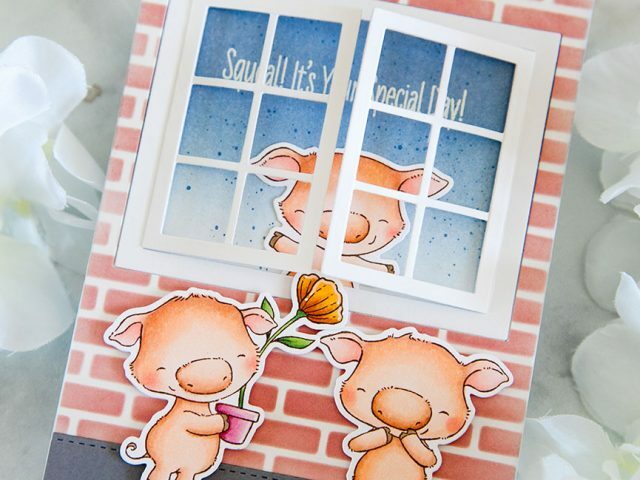 I love the design and the adorable animals along with some cute sentiments in your windows. This design truly gives the feel of a comic strip page. Great card! 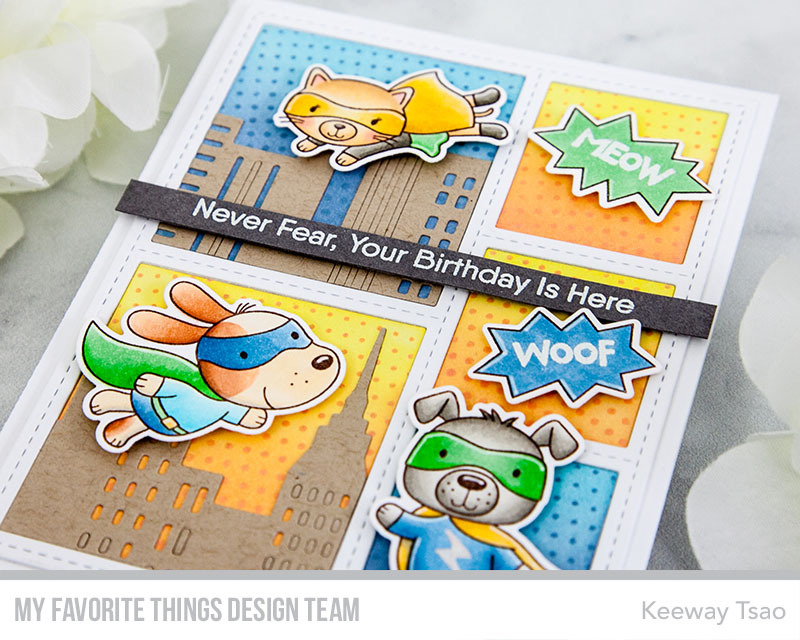 I love how you used all the superdog stamps to make such a fun card! This card would be perfect for my niece’s little boy! 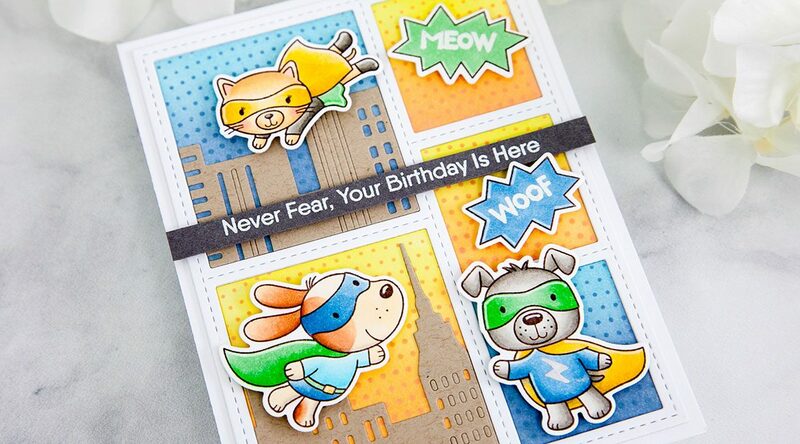 Awesome collage you created using this adorable super dog and cat set! I love your card very cute with the background die! It’s like a comic strip! Love the colors! sooo cute love the combination of the super cat and super dog! Fun card! Love the colors and details! Darling stamp set! Cute comic book card! I love the bright colors and super critters! These are going on my list thanks to your inspiration. What a dynamic scene! It looks like a comic book!! This card is amazing! Love the comic style!! Simply the cutest comic inspired birthday card! LOVE it Kiwi! You did an awesome job with this design! Thanks for the inspiration! Just totally Super Card!!! So much to look at and take in required much planning! I love your comic book style! First thing I thought of when I saw these was ‘there needs to be a super hero cat/dog face off! What a fun comic scene! sections with the cat and dog. Super sweet, Keeway, I love the design of this card! What a great card! So fun and such bright colors. Wow! Fabulous card! Your attention to detail is incredible. The dotted backgrounds and the stitched rectangle frames give so much interest to the card. FUN! FUN! FUN!!! I love each scene! What an awesome crd. It is so colorful and playful. Love the super kitties and puppies! Super Card to Save the Day! omgosh, I love the comic book look!!! Yes! Wow, such a fun card!!!! Love the comic book panel design and such great backgrounds! Fabulous card idea! I love the comic book theme and all the detail you put into each square. Cats and dogs fighting crime together – so cute! This is such an awesome card! I love the colors! I absolutely adore this card! Can’t wait to own the stamps and dies so I can give it a go. Fantastic card! I imagine it was a lot of work. I love the half tone readiating background. Adorable cards! I love the Super animals!! Awesome card! I love all the windows and details you added. Love your card and color choice. Great idea. Love the comic book layout. You certainly make me want this set. Fantastic job and layout. Very cute! I love everything about this card! The colors are amazing and I love your coloring. So cute!